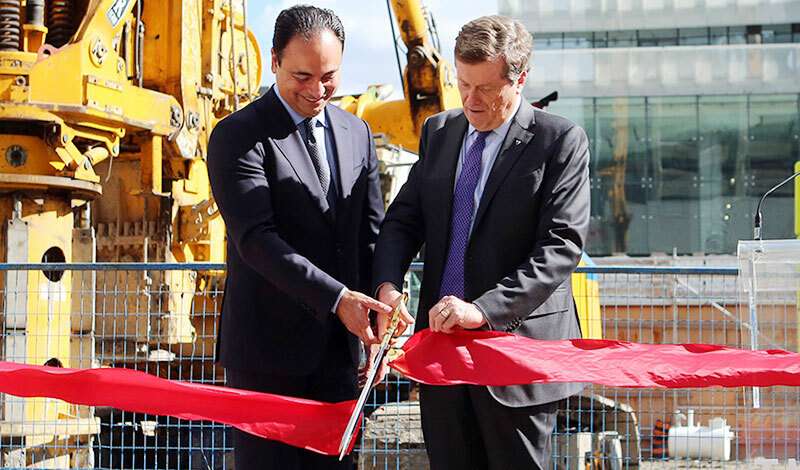 Construction begins on Toronto’s most iconic condominium development after well-attended ribbon-cutting ceremony. 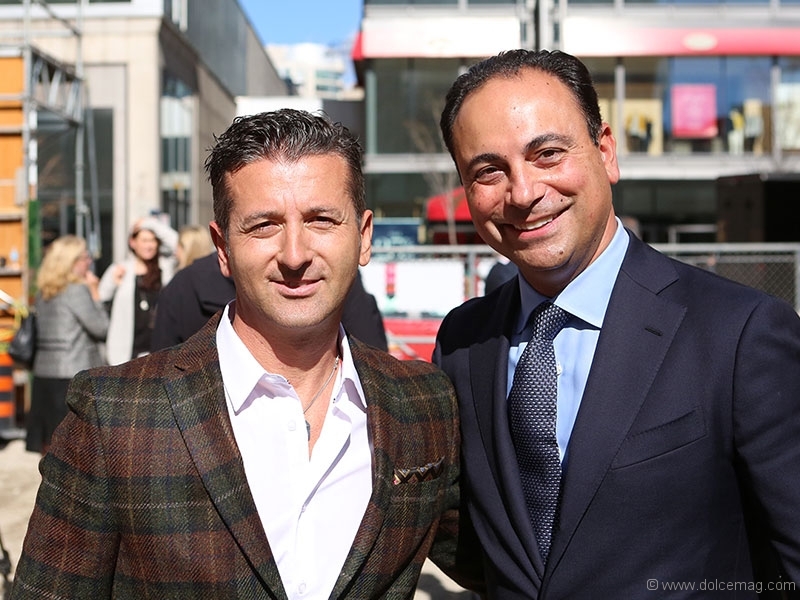 On October 5, Mayor John Tory, investors and members of the media joined developer Sam Mizrahi for the highly anticipated ribbon-cutting ceremony at the site of his most iconic project to date, The One, located at 1 Bloor West. 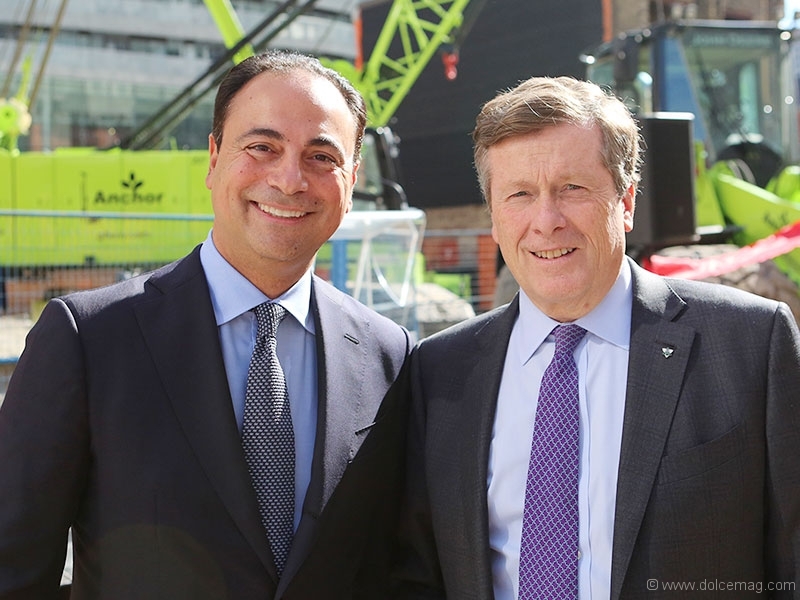 The mixed-use tower, designed by CORE Architects and Foster + Partners, will soar 1,005 ft. above the city at the intersection of Toronto’s Yonge and Bloor streets, making it the tallest building in Canada. 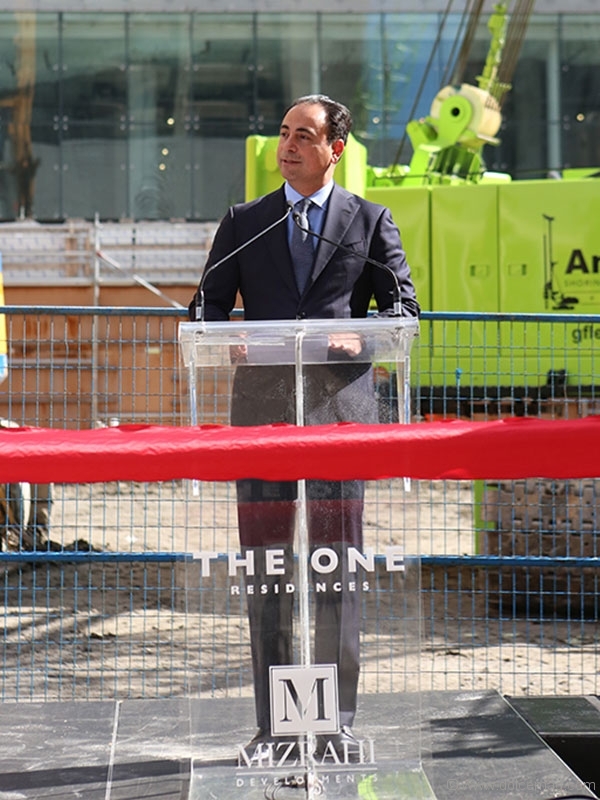 What’s more, the podium of The One will comprise five storeys, three allocated to retail space and two for restaurants. 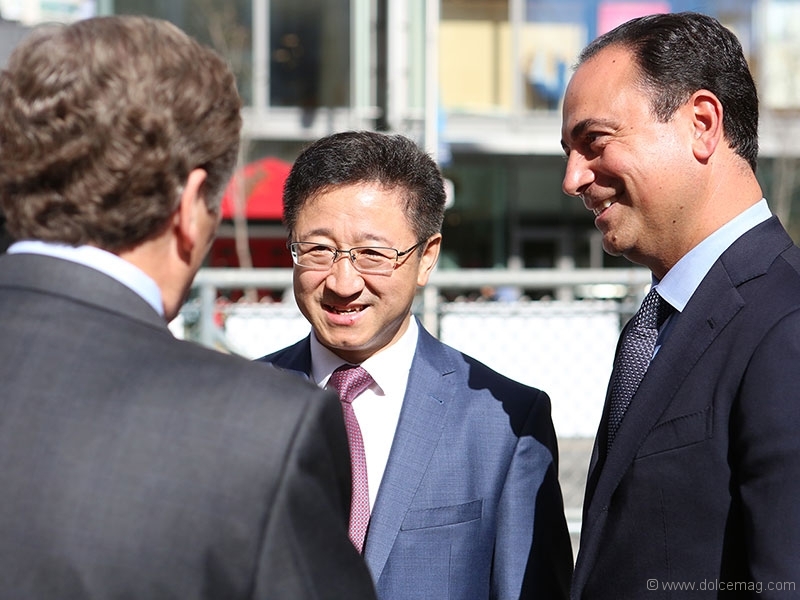 The sixth level of the building will house a sky lobby for hotel guests in the next 11 floors and residents of the condominium in the remainder of the tower. Upon accessing the sky lobby through private elevators, residents will be greeted by a bellhop and a concierge. The One’s amenities will sit at the top of the podium and include a 2,000 sq.ft. rooftop swimming pool heated for all-season use, an adjoining garden terrace, a private gym and a spa. “We want to be innovative. 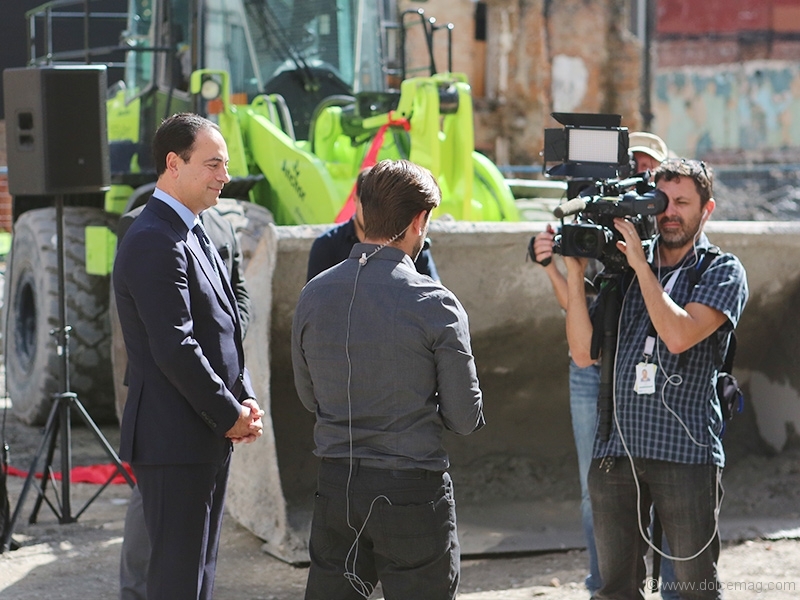 We want to introduce new concepts, new designs and new materiality to the city. 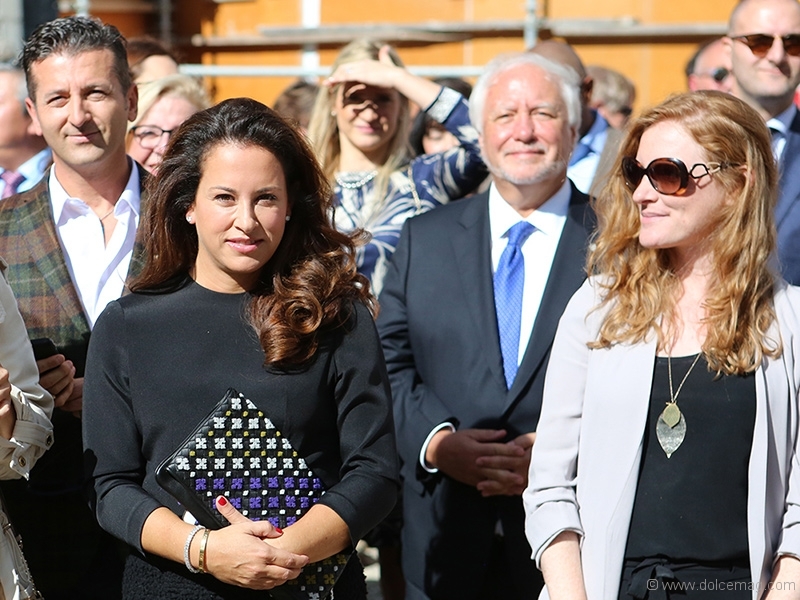 There is only 1 Bloor West in Canada, and we’re going to build it with passion,” says Mizrahi.